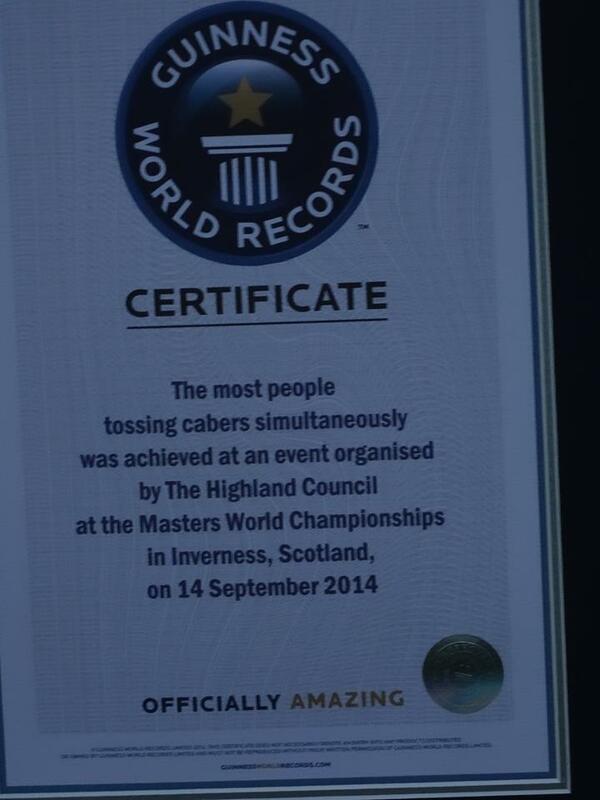 Inverness played host to the Masters World Championships over the weekend of 12-14 September 2014 and a world record number of competitors - a staggering 165 - took part in the 3 day event. 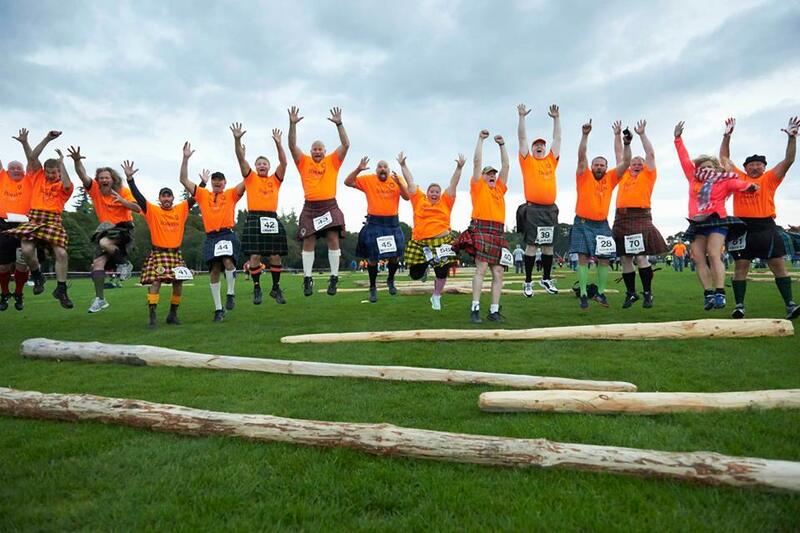 The weekend featured the establishment of 3 world records in the ladies hammer events and the unforgettable sight of a successful attempt at the Guinness World Record for simultaneous caber tossing. 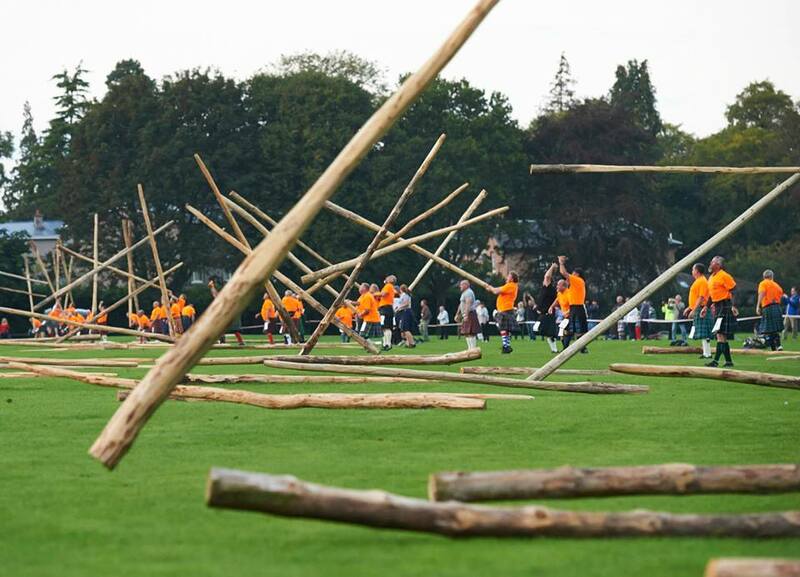 106 cabers were tossed and 66 were turned correctly. 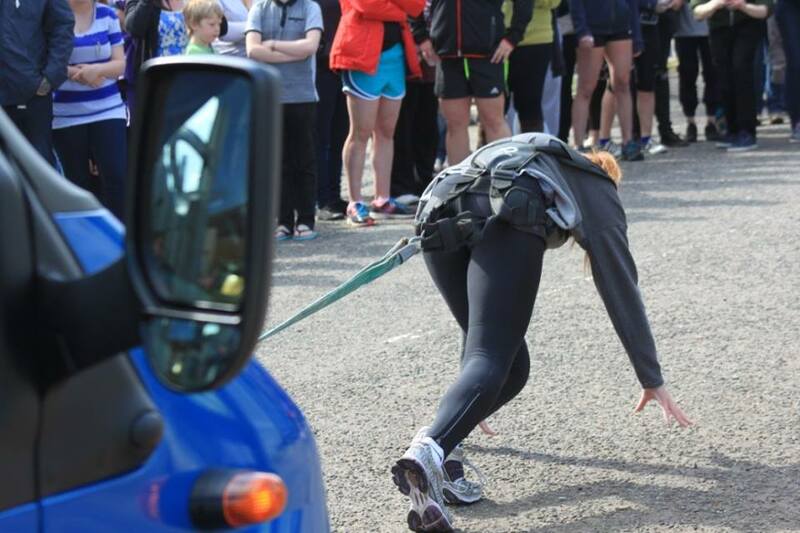 Following the MWC2014 Weekend - the action continues with the Highland Traditional Strength Festival and the Loch Ness Marathon; the Homecoming Highland Festival will climax with the eagerly anticipated Royal National Mod arrives to which will be feature performances around Inverness City Centre and showcase all the aspects of Gaelic language, culture, history and heritage at local, national and international levels. 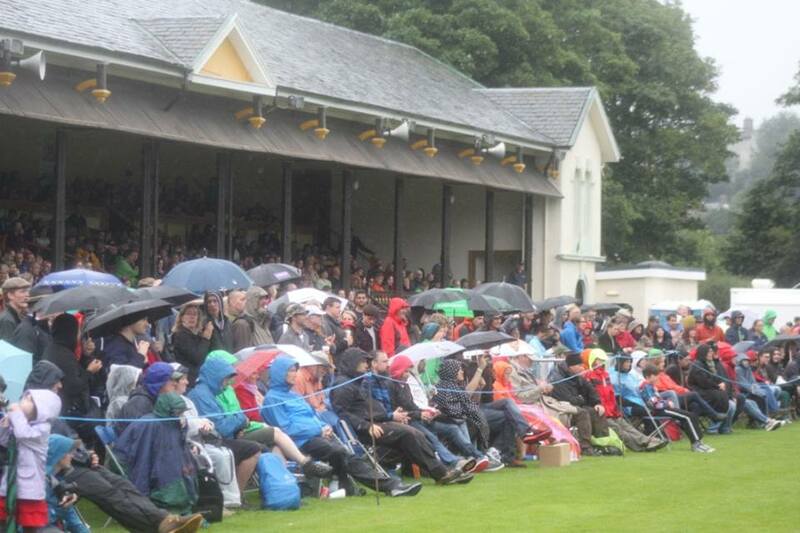 The final sporting event of the Highland Homecoming Festival will be the annual Shinty Hurling International between Scotland and Ireland at Bught Park on Inverness Street Theatre Festival weekend. And then ... just when you had thought you had seen everything ...all eyes will turn to Ness Islands for a Halloween Show unlike any other.. all the ghosts we have had in the past five years are returning to see if they can finally scare away the children of Inverness. The Kirking of the Council is the oldest event in the city's annual calendar of events and this year's event was full of colour and pageantry. Led by the combined pipes and drums of the Inverness British Legion and the St Andrew's Society of Central Illinois USA Pipe bands; the Kirking parade included uniformed youth groups, veterans from the Royal British Legion, the Armed Forces and Northern Constabulary to name but a few. Joining our Councillors in their red robes were representatives of the University of the Highlands and Islands in their purple and white trimmed black robes; and competitors in the Masters World Championships. 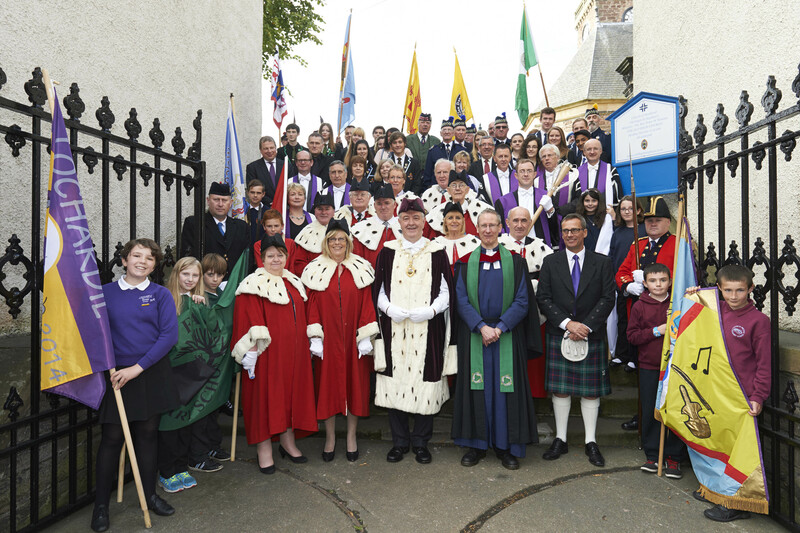 The parade went down from the Town House to the riverside and then down Church Street to the Old High Kirk where the Reverend Peter Nimmo welcomed Provost Graham and all the officials and organisations that give so much to our city. After the service, the congregation went back to the Town House for a well deserved cup of tea with the Provost. 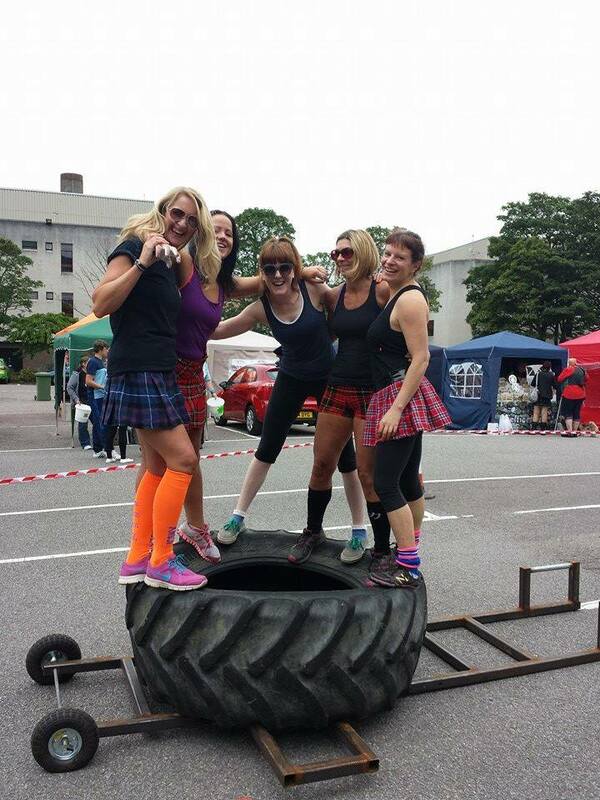 The City of Inverness Highland Games started and finished with two unforgettable record breaking performances before a delighted crowd of over 3500 spectators. 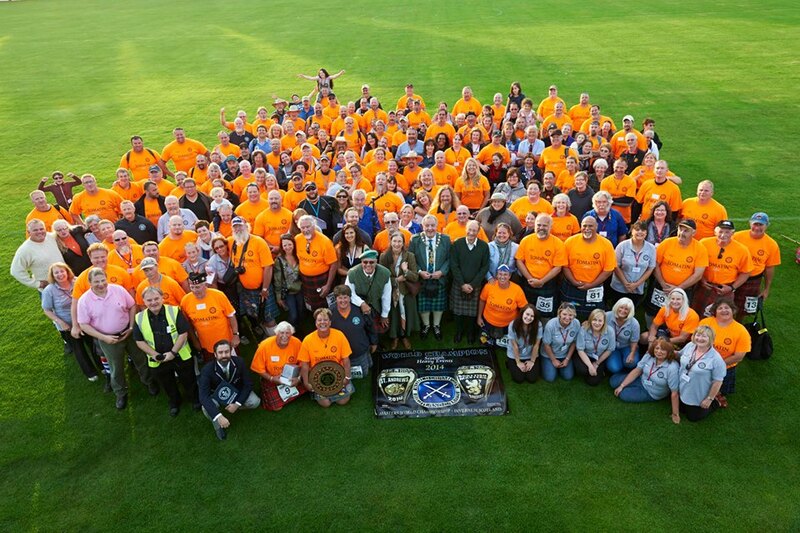 To celebrate the 150th Anniversary of the opening of Northern Meeting Park in 1864, the Games Committee invited spectators on to the field to join in the opening ceremony's Mass Highland Fling; and the delight on the faces of all concerned as the biggest Highland Fling in Inverness Highland Games history got underway was plain for all to see. 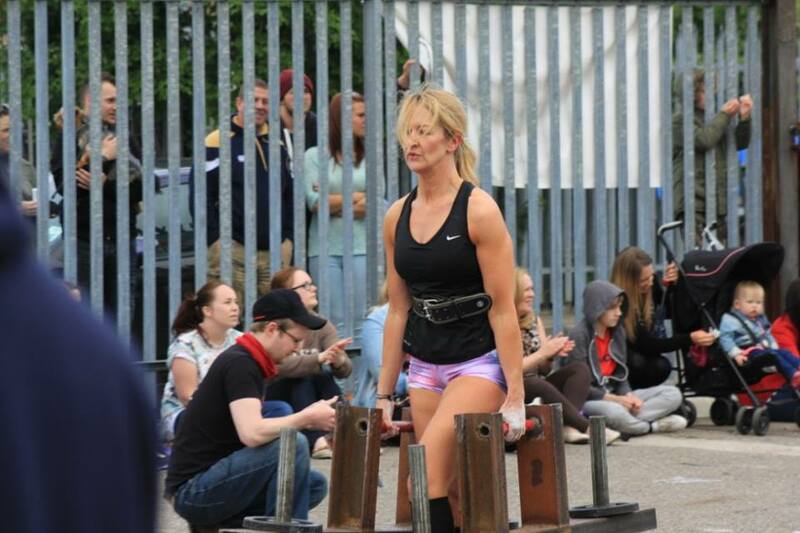 After the unveiling of a special commemorative plaque to mark the occasion by Games Chieftain Provost Alex Graham, the crowd settled back to enjoy 6 hours of competition, performances and displays. In the Heavy events, Sinclair Patience revealed just how well his preparations are going for his debut in the World Championships in Dunfermline next month by successfully defending his Inverness Games title against an international field with included former Masters World Champion Jason Young, Torsten Hulsemann from Germany and Alan Herbert and David Garman of the USA. 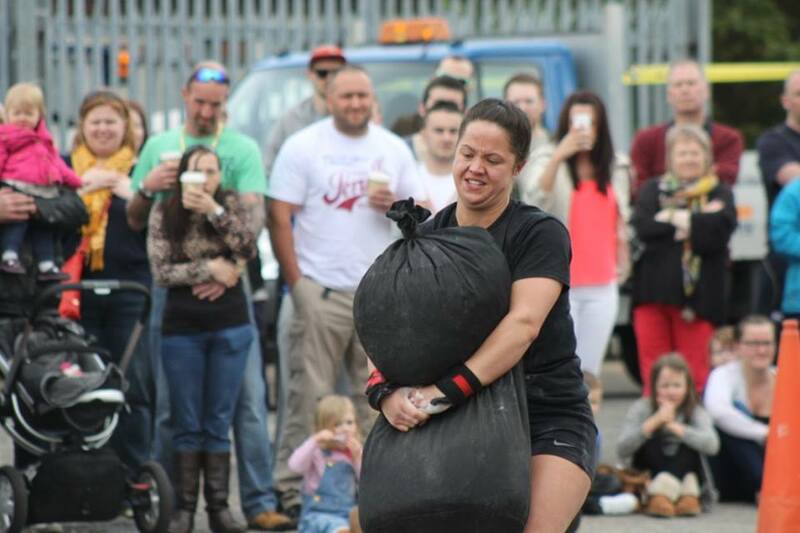 Michelle Smith of Inverness won the inaugural Inverness Highland Games Strongwoman competition which included truck pulling, a lady's version of the famous Inverness Stonemason's Stone Challenge and a weight over the bar competition which saw her overcome a determined challenge by Karen Sutherland. The afternoon ended with three Heavies stepping forward to attempt to lift the 252 pound Stonemason's Stone over a five foot bar. 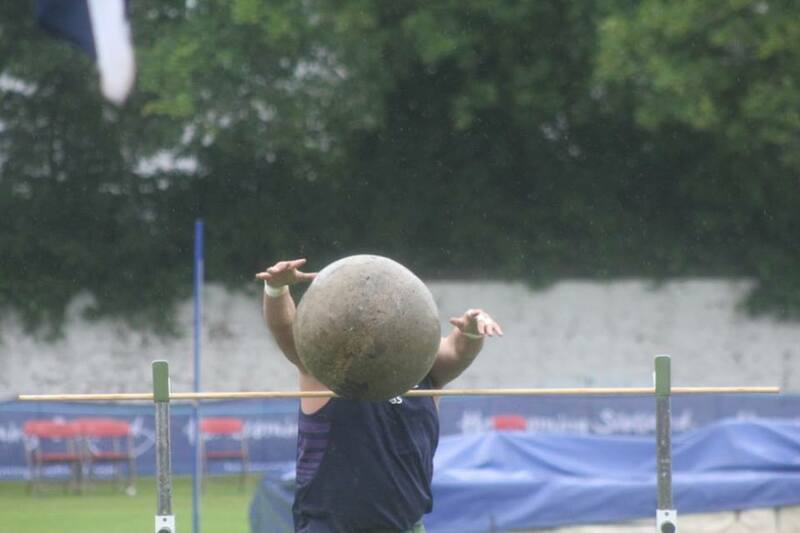 Simon Timpson of England and Alan Herbert of the USA both failed to lift the stone from the sodden turf before Sinclair Patience stepped forward to become the first man in history to successfully launch the Stone over the bar twice to the delight of crowd who gave him a well deserved standing ovation. The Anniversary Games could not have had a more exciting or finer conclusion. 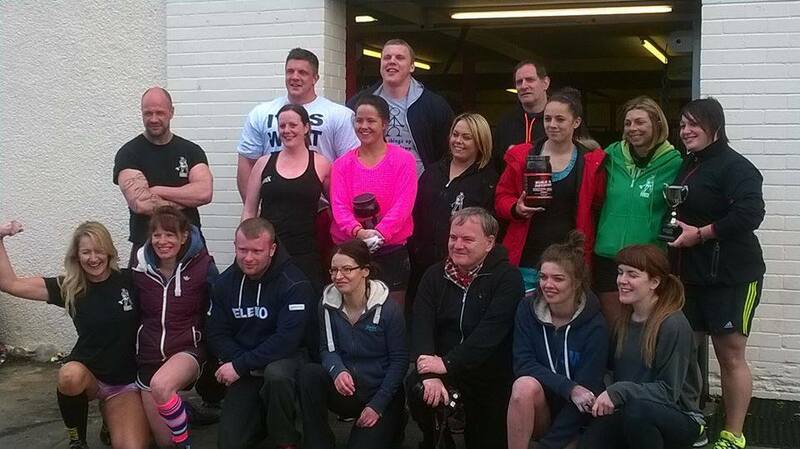 On Sunday 11th of May eleven competitors and a crowd of over 150 spectators gathered at the Forge Gym in Inverness for the inaugural Highland’s Strongest Woman contest. 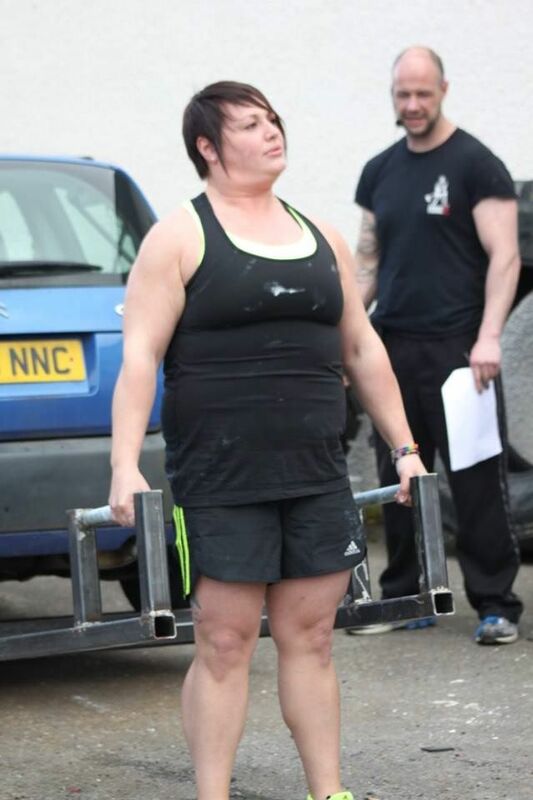 After 5 gruelling events including pulling a 3 ton truck and Deadlifting a Car, Michelle Smith of Inverness was the eventual winner.